Courtney Jenkins is a Licensed Clinical Social Worker (LCSW) in Virginia. She graduated from George Mason University in Fairfax, VA with an undergraduate degree in Interpersonal Communication. 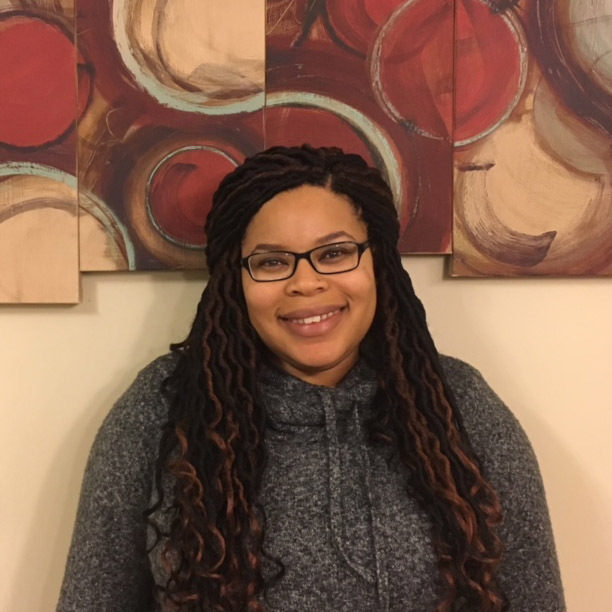 Courtney received her master's degree in Clinical Social Work from Virginia Commonwealth University in Richmond, VA.
Courtney has worked with families that vary in both cultural and socioeconomic status. She has significant experience in the fields of foster care, adoption, reunification, and school social work. In addition, she has experience providing individual and group therapy to children, adolescents, and young adults. Courtney has received specialized training in Trauma-Focused Integrative Play Therapy and the Marshack Interactional Method, an assessment protocol used by Theraplay providers. Treatment areas include stress, anxiety, trauma, depression, attachment, and grief/loss. Also, Courtney has supported children with socio-emotional concerns, academic challenges, and diagnoses such as autism spectrum disorder (ASD) and attention deficit hyperactivity disorder (ADHD). Courtney enjoys helping clients not only identify, but highlight their strengths and resiliency.